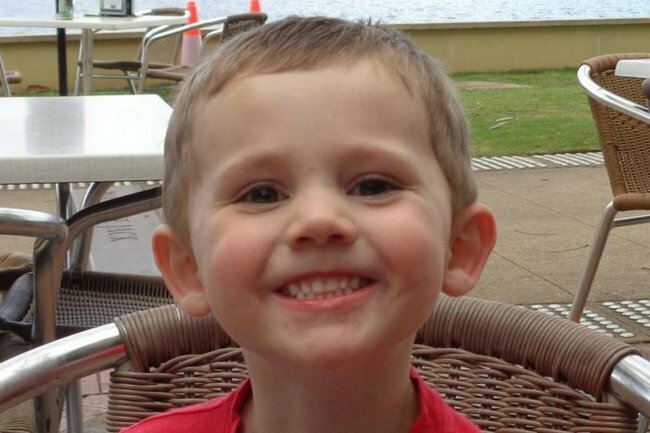 William Tyrrell parents, foster and biological: Here's what we know. The biological family of William Tyrell huddled together as they passed an array of media cameras outside the NSW Coroner’s Court before the first hearings into one of the most infamous missing persons cases in Australian history. The first court tasked with determining what happened to the boy in the Spiderman suit warned it did not have the evidence to provide any kind of easy answer. Instead, it seems destined to conclude William was likely abducted from the tiny mid-north coast town of Kendall in September 2014. But first Deputy State Coroner Harriet Grahame had to see sufficient evidence the three-year-old did not succumb to the rugged bushland around his grandmother’s home on Benaroon Drive. In order to do that, counsel assisting the coroner, Gerard Craddock SC, first asked William’s foster carers to spend two days recounting haunting memories of the initial disappearance and search. “My immediate thought was someone has taken him,” his foster mother tearfully told the court. The case has taken a macabre hold on the nation partly because of the heinous nature of the suspected crime and partly because no one has ever been caught. “That person, with whatever his or her proclivities and interests, remains in our community,” Mr Craddock said in his opening address on Monday. Another part of the public’s fascination, however, is rooted in a sense of mystery around William’s complex family situation. It’s been well-publicised that William’s biological parents are battlers – known to child protection and legal authorities – while his foster parents are professionals from an affluent Sydney suburb. His biological family’s unrelated legal and social problems saw them splashed over newspapers through the years while his foster parents remained out of sight. The foster family have always asked for privacy but they never needed to – they are still caring for William’s sister and are legally unable to be identified. They entered the Lidcombe court through an unknown entrance and sat behind privacy screens during intermissions. But the media blackout around them has unintentionally fed rabid conspiracy theories on social media by people unwilling to digest the legitimate legal reasons for it. Ms Grahame said “public interest” around the case must have made grieving the loss of the boy harder for his loved ones. The court heard the investigation had not ruled out family members or associates as suspects but it was indisputable the biological parents were in Sydney. Further, Mr Craddock said, “William did not disappear because he was in foster care”. But it would take until the lead-up to the inquest for both sets of names to be suppressed fully. The difference in how they experienced the tragedy is the cause for some tension in the courtroom. When the first week of hearings concluded William’s biological grandmother told reporters she felt her family had been scrutinised more harshly. “(The foster family) didn’t get that same sort of treatment; one gets treated better, one gets treated bad,” she told reporters on Thursday. William’s father, on Thursday, told the inquest that authorities “f***ed up” their duty of care to his son. For the first time it emerged William’s biological parents had absconded with the boy in early 2012 when the court ordered he be removed from their care. They hid out for more than a month at William’s grandparents’ home until authorities finally caught up with them. “I couldn’t bring myself to give them my son,” his mother said on Thursday. The two families had only a few fleeting interactions after William was placed in care, police records showed at the inquest revealed. The mother of William and his sister, in those documents, said she was upset that her children were no longer calling her “mum” in their final visits. Despite their differences, the gulf between both families seemed to narrow throughout the week as both were united in grief for William. The boy’s foster mother broke down in tears describing the moment she ran around the sprawling yard and later, when she remembered a “scream” coming from the bushes. Her husband writhed in his seat across the room, rubbing away tears with white-knuckled hands as she spoke. On the other side of the court William’s biological grandmother cried too. “It must have been terrible (learning William disappeared),” Ms Grahame said to the boy’s mother on Thursday. She nodded in response and pursed her lips as detectives bowed their heads in the gallery. At the opening of the inquest, Mr Craddock told the court the statistics for missing children were not in favour of survival beyond a few hours. “That doesn’t mean all the searching day and night with massive resources was wasted,” he said, adding there was no evidence for such a conclusion. “It’s a chilling statistic but it’s no basis for making any finding about William. At the end of the fourth and final day of hearings, he told the court what had been heard was “just the tip of the iceberg”. The court will resume in August.